According to numerology there are 9 years cycles in which each year have different energies. 2017 is the year of sowing the seeds of your happiness. Semi-precious stones/gemstones are powerful parts of the Mineral Kingdom. They have their own energy vibration, which resonate on a certain frequency and work on many different levels with your energy field: physical, mental emotional and spiritual, if you choose to keep them in your energy field. 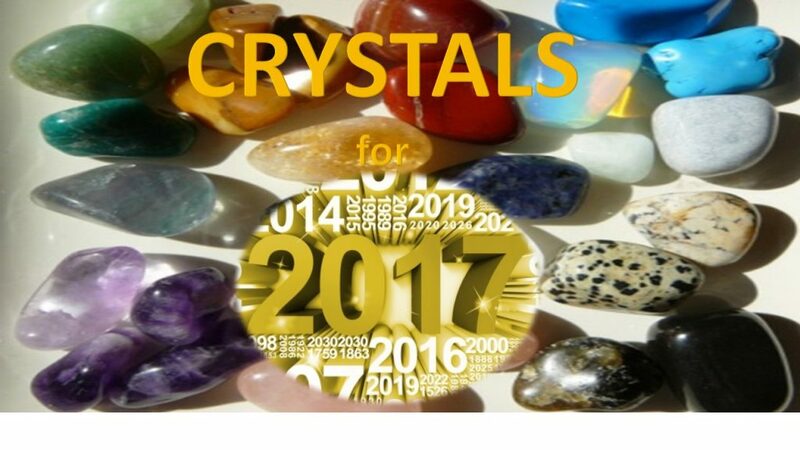 There are certain crystals/semi-precious stones to choose from, which can support you throughout the year with your intentions, goals and New Year’s Resolution to manifest your dreams. I have chosen 7 semi-precious stones, as the number 7 in numerology connects Heaven and Earth. If you manage to find peace inside of you even with a few minutes spent daily in quiet contemplation and or meditation you are connected to the energies of the Earth and Heaven. It is crucial to become a channel of a consistent flow of Universal energy. Healing crystals can help us fine tune and or adjust the flow of energy in different parts of our body and energy field. Use this gorgeous Violet stone to give you clear vision to help you decide where you are heading to in this next 9 years cycle. Amethyst can strengthen your psychic vision, whilst providing you with spiritual protection. Lay down or hold the stone in your hand and place it on your 3rd eye chakra (on your forehead in between your eyebrows). Relax, breathe deeply and let your thoughts fade away. Listen inside and receive the information with gratitude that your higher self send to you whether it arrives as colours, pictures, thoughts or feelings they are perfectly all right. After a few minutes open your eyes and jot down what you have received. For spiritual protection and raising your energy vibration keep this crystal in your aura/energy field. 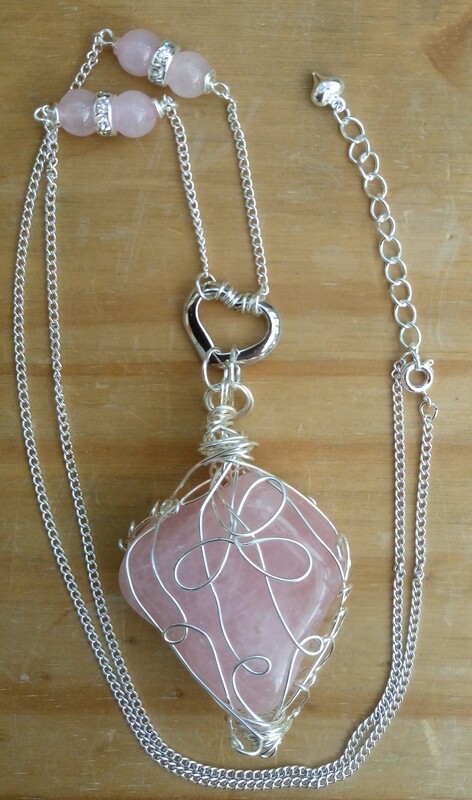 it is a nurturing feminine stone, supporting women throughout their life cycle. It calms the emotions and perfect for deep emotional healing. In 2017 utilise the gentle energies of this nurturing crystal for planting the seeds of your Intention and Happiness. 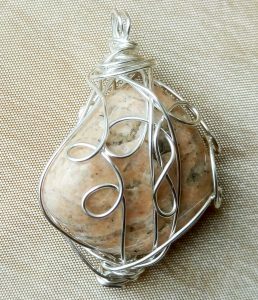 Let this lovely Orange stone to boost your energy to enable you to execute your plans easily. Carnelian has a cheerful and optimistic feel to it. It physically stimulates you, giving you more energy. Carnelian calms anger and replaces emotional negativity with love of life. It works with your Sacral Chakra. 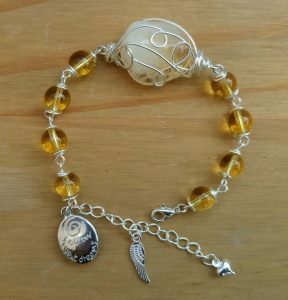 Citrine is known as the stone of abundance. Carry around this powerful stone with you not only to attract Money, but abundance in every areas of your life, including Joy of Life to keep you on your path. This gemstone resonates with your Solar Pleaxus chakra and aids digestion on the physical level. is the stone of prosperity and it brings you Good luck to give you extra help with your projects coming to fruition. 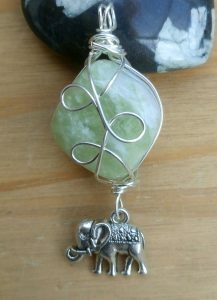 New Jade resonates with your Heart Chakra. helps calming your mind therefore you can achieve your goals easier. 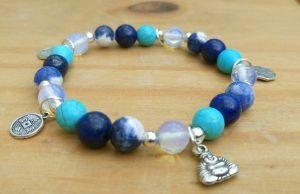 It also resonates with your Throat Chakra to help you express your heart’s desires. 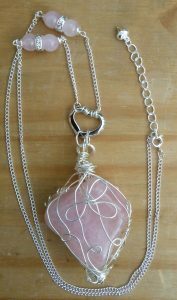 Rose Quartz is a gorgeous light Pink stone with soothing and soft feminine energies. It is the stone of Unconditional Love. It helps us to attract more love energy towards us, and also aids self-love. It is crucial to open our heart and try to make decision rooted in love if we wish to proceed on the path of enlightenment. Which crystal is the best for you? You can choose to work with one or all of the crystals above. If you dare to trust your intuition, you will know by listening to your inner wisdom, which crystal is the best to wear on a certain day. However if you rather make decisions based on logic, just read the properties of the crystals above to guide you to the one you are in most need of to support your intentions, goals and New Year’s Resolutions.